However the future healthcare leaders didn't seem to reflect the changes underway in society, Dolan thought. But Dolan, who grew up with stories about his mother's time working as a nurse, including her service in Wales during World War II, was in a position to do something about it. 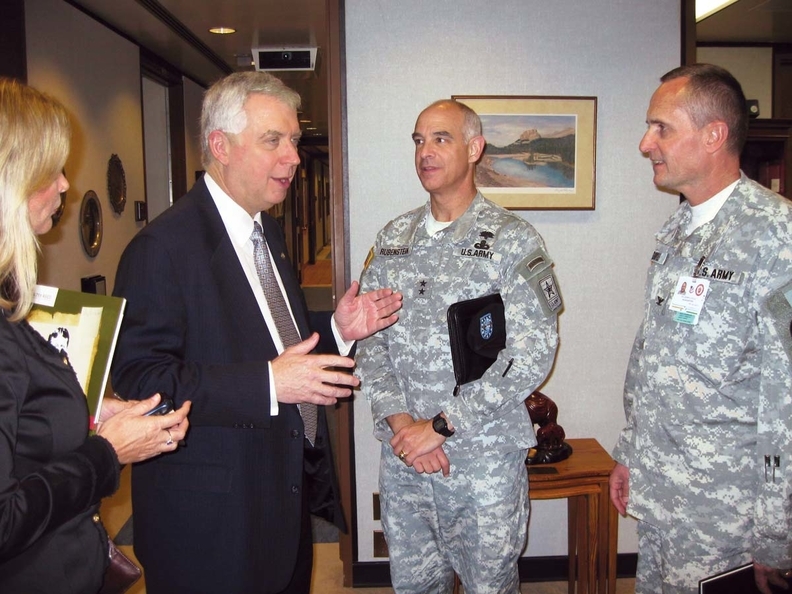 During a visit to Walter Reed Army Medical Center in Washington, D.C., Dolan meets with faculty leaders, including Maj, Gen. David Rubenstein, center, the ACHE's 2008-09 chairman and the Army's deputy surgeon general at the time. 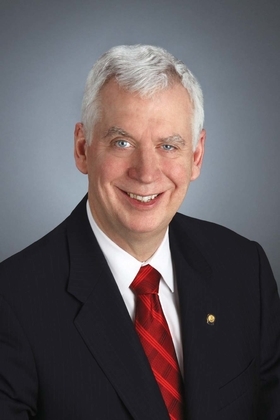 Dolan led an effort to start collecting information on ACHE members' racial makeup. From there, he led the first career study to look at how minorities were progressing in the healthcare management field, and found that, after controlling for age and education, black executives weren't moving up the career ladder as far or as fast as whites. “So there was some sort of discrimination there,” Dolan said. The ACHE, at Dolan's behest, began issuing recommendations on how to change that, including suggesting more mentoring of young, minority executives and emphasizing networking opportunities for minorities. 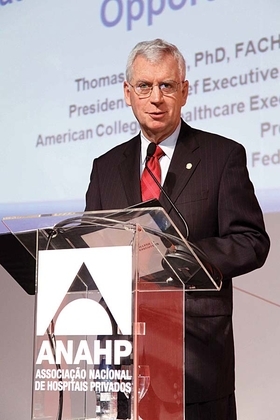 Dolan addresses the 2012 annual meeting of the Brazilian National Association of Private Hospitals in Sao Paulo. He's a frequent speaker on healthcare leadership issues. 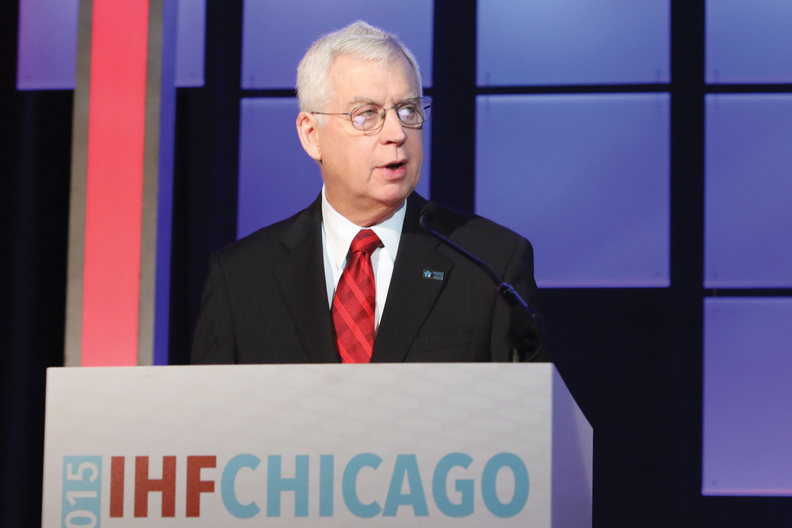 Dolan speaks to the 39th World Hospital Congress held in Chicago in 2015. He was the meeting's chairman and immediate past president of the International Hospital Federation.